“Has the AFC reclaimed Metalstorm?” Reas asked for the benefit of the other officers. It was a rather warm late spring day when First Leader Grandous arrived at his retreat in the historical Stout mountain range on Comensal Prime. The occasion was his birthday, and after attending a massive parade in his honor in the capital city he took the traditional three-day vacation as partaken by all previous first leaders. The retreat was an ancient restored fort, and while it appeared to belong to an age of bows, swords and trebuchets it was made to be a private vacation spot. While the form was kept as true as possible the interior was lively and lusciously decorated. In the main drawing room there were great murals depicting AFC victories in space and Army conquests on alien worlds. No doubt, however, that even here there was a sophisticated underground bunker and supplies to withstand a five-year siege. The Comensal are meticulous second to none. The trio of representatives stood up and saluted. “Thank you for your generosity, First Leader,” Sandan said for all three. Before the Axis started its current offensive the defenders of the Metalstorm/Output warp point had expected their bases to be upgraded, dismantled and then reassembled at the Output/Datadisk warp point. With that expectation gone the defenders also had to contend with having no reinforcements. There was no task group to back them up, and the nine Hamthen destroyers that were assigned in Metalstorm were ordered back into Dotz. Nine type-2 bases, three Bulan missile type-3s, and three type-5s stood guard with 450 mine patterns and 240 weapon buoys. Three small bases and a control ship managed the automated weapons. In Output the armed bases numbered three less but were all of the larger type-5 variety. Even so the three type-5s here were fighter platforms, making the CAP nine squadrons strong. The Terpla’ns and Bulani operating the bases knew any half-hearted assault performed by the Axis would succeed. What they hoped to achieve was to destroy or heavily damage every assault carrier and minesweeper they could. For this reason the three BS5Vs were moved by a small tug to within 3.75 LS of the warp point to decrease the response time for crash-launched fighter squadrons. They got their chance two weeks after the fall of Output. Six AFC Blockhouse battleships emerged one after another, turning about to achieve their exit vectors and bring back their sensor findings. Of the nine CAP squadrons six were able to fire on the intruders, pummeling four battleships with FRAMs. On their part those few bases that got active destroyed one Blockhouse. Added to that was the combined fire of 120 one-shot laser buoys, destroying three more. In turn the Axis almost destroyed one plasma-armed BS2 and shredded the armor of another base. Two armor-damaged Blockhouses transited back to Output, leaving the defenders to rearm and conduct what repairs were possible in the limited time available to them. Four days later the Axis returned. From their scans they knew there were 300 buoys (out of an original 420) left and 300 mine patterns equally distributed around the warp point. The full number of bases was also known, and the location of the BS5Vs gave the Axis the incentive to try a tactic laced with risk. A Grim Reaper minesweeper emerged, followed by four Falcon Crest carriers and a wave of Grenadier corvettes. Of the 36 that emerged 20 interpenetrated. It would be the only break the defenders would get. After spitting CAMs and plasma packets one BS2 was crushed while all the large Axis ships lost shields and a majority of their armor from four active CAP squadrons. One Falcon Crest was the focus of those active BS2s, and when only the Jonal mine warfare ship became active it was decided to fire 100 laser buoys, four for each ship present. It was enough for the Falcon Crest erupted in a fireball fueled by antimatter as bomb-pumped lasers stabbed through the hanger decks. Three Grenadiers picked on by an active BS3 and BS5V were destroyed by this round of buoy fire. The three remaining Falcon Crests launched their Hatchet fighters, 72 in all and each armed with a gun and two FRAMs, before retiring through the warp point. Joining the forces in Metalstorm were two more Grim Reapers, two Soars, and two Cannonade battleships. The jammer on the first wave Grim Reaper became active, throwing the five remaining CAP squadrons datalinks into disarray. 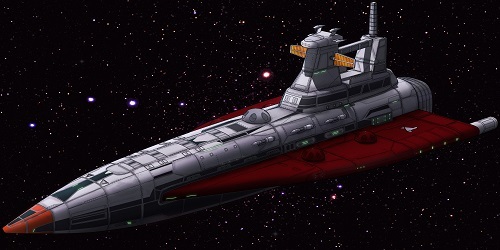 Of the active laser-armed BS2s they all fired on the big ship for they were also within range of its jamming. It didn’t matter for six Hatchet squadrons were tasked to stay on the warp point to engage the CAP with the other six tasked to destroy the BS2s. Only one plasma-armed BS2 remained mostly untouched while the laser BS2s were destroyed or severely damaged, either by FRAMs fired by the Hatchets or from transit-addled lasers and CAMs from the newcomers. The first wave Grim Reaper was destroyed by the decimated CAP squadrons and a second wave minesweeper had its shields and half its armor taken out. Two of the active Bulani BS3s fired on the Grenadiers, adding more damage to what the laser buoys caused earlier. Only one was destroyed, leaving 16, but it was enough to justify the firing of 66 of the remaining 80 laser buoys. 10 of the pesky ships were removed from the continuum. Both Soars launched their fighters yet lacked enough motive potential to transit to Output. The Axis force in Metalstorm was joined by two Wave Riders, another pair of Falcon Crests, and two Bullseye cruisers. A second wave Grim Reaper became the focus of the allied effort as the jammer it carried went on-line. 9 fresh Shark squadrons engaged the ships over the warp point as the Hatchets of the first wave went about slaughtering them. Even that wasn’t enough to prevent the jamming Reaper from being made into a wreck along with one Soar. Further fire reduced the number of Grenadiers to just two. With 14 ships on the warp point the Terpla’n commander primed and released the 120 primary beam buoys he had at his disposal. ECM or not every Axis ship was hit by at least four primaries. The jamming Reaper ceased to be as its remaining engine room seized up like a petrol engine and its dying vibrations breaking the ship’s back. The wrecked Soar was even more so, only having one shut-down engine left after the primaries had done their work. All other ships lost one or more engines, but of those that stayed had their exit vector set and faced the Bulani BS3s and Terpla’n BS5Vs with weapons at the ready. Six Hero cruisers replaced the two retiring Falcon Crests, relieved of their fighters and further damaged. Even with addled fire the Heroes took care of most of the BS2s, saving one to be boarded by marine-filled shuttles. The BS3s (one of which still hadn’t become active) focused on the other second wave Reaper, breaking shields and rending armor so as to see it leave or be destroyed. As for the BS5Vs the other two finally crashed-launched their Sharks, but the 10 Soar-launched Hatchet squadrons changed their approach so that they avoided their fire. The bases only managed to shoot down four Hatchets before being worked over by antimatter fireballs. Of the three just two barely remained, still equipped with their missile launchers, but lost those Sharks from the CAP that landed to rearm. Three of the Hatchet squadrons only fired partial loads. Veering away, they made for the retreating Jonal while their empty brethren moved away at full speed, waiting for the battle to end. 23 Shark fighters, crashed-launched earlier, were now orphaned and left with only one option. The fifth wave was made of six Stalwart cruisers. With 18 Shark squadrons bearing down on the warp point all the Hatchets, including those launched from the third wave, stayed to defend the ships. Fire was exchanged with the Bulani bases with one losing all passives and taking internal damage. Another base was singled out by the Cannonades, firing just their energy beams so as to have another eventual hulk to inspect. Seeing what was coming the remaining Grim Reaper, already sustaining heavy armor damage, transited out and was replaced by two Hand of Providence assault ships and four Hailfires. One Wave Rider minesweeper turned on its jammer, making it the number-one target for the Sharks. Taking all that was thrown at them the Shark pilots destroyed the jamming Wave Rider, all but killed the other, took down both Cannonades and inflicted armor damage on a Providence. One Bulani BS3 was destroyed with another taking force beam, laser, and addled missile fire from the Hailfires. The minefield, pelt by externally carried anti-mine charges from each successive wave of ships, was down to 4 patterns. Of the 108 Sharks that went in only 20 pulled away from their completed attack runs. Combined with the other 23 orphaned Sharks the pilots focused on the previously hit Providence. 22 kept the big ship in their sights and of that number 11 broke past the point defense barrage and rammed, wiping out one-third of the ship’s armor. Obliterating one BS3 with spinal force beams, the Providences did more damage to the last armed Bulani base. Those Axis ships that still had shuttles and pinnaces launched them, sending them to that base as the Providences worked it over with long range energy beam fire. The Hatchets finished the rest of the warp point Sharks, and the most recent wave of new ships, six Sprinter destroyers, finished making a path through the minefield. Just as the shuttles made their approach the Bulani base self-destructed along with two of the three Terpla’n BS1s. Rightfully miffed, the Axis commander on the scene had the two Providences thoroughly drench the last BS1 in energy beam fire before sending over the shuttles. As for the Jonal it was destroyed by twelve Hatchets but not before it shot down two of them. While the boarding actions continued on the BS1 and BS2 the Axis fleet poured into Metalstorm. Once formed, the formation made for the Dotz warp point. Along the way a small detachment was sent to the lunar colony on the third moon of the gas giant Metalstorm A-3. This marked the second time the system had been reclaimed from the Commonwealth. Unlike last time there was going to be a fortified presence from now on. The Hazen marines stationed to keep watch over the two Comensal colonies and eight outposts were able to evacuate via pinnaces and only then by abandoning practically all their heavy gear and the fact that the Axis fleet moved at dreadnaught cruising speed. Like what happened before with System Admiral Lorcan there were three mining groups tasked to ring the warp points leading to Dotz, Silvershoe and Abyssal-019 with minefields and weapon buoys. Added to that were two heavy reconnaissance groups. The one slated for Silvershoe was tasked to probe and watch the system’s two other warp points. As for the other group it was going ‘up the chain’ to Abyssal-019 and BRB-1. From there it would split up to two groups, with one going to Ampere and then Blood Pride to determine the fate of the colony in that system. The other part would test to see what the abominable Hokum were up to in Solid State and Red Wire. So far this portion of Operation Restoration was going to plan. Unified Headquarters on Hamthen Prime was filled with smothered tension. With the AFC now in Metalstorm all contact with allied forces in the Citadel theatre was cut off. For Admiral Jki there was one serendipitous outcome. When news of King Russan’s death reached the Valhallan homeworld a group of anti-monarchists comprised of greedy and resentful aristocrats and members of the petty nobility launched a coup. One week on the fighting in the major cities was still intense. It was bad enough to be cut off from reinforcement, but had the Valhallan crews knew what was going on it would’ve caused additional morale problems. Worse if the news prompted the Royal Expeditionary Fleet to abandon Battlement in a misguided effort to return home to suppress the coup, a journey that would take close to a year. Jki could only wonder what President Huj was going through and how this event was going to affect the war effort. Something sparked in Jki’s mind. A manipulation of the playback had the focus changed to that of the BS5Vs. “Geln, while the repositioning of the BS5Vs was inspired there was one flaw in the doctrine. The returning CAP fighters were destroyed in their bays before they had a chance to rearm. Under the circumstances the fighters would have best been left in space and formed up with the other strike survivors, making for a stronger suicide attack on the superdreadnaught.” Just then a sharp, twisting pain filled Jki’s gut, making her grimace and grip the edge of the table. It was a lingering aftereffect of the wound she suffered at Hagelkorn. An infrequent occurrence, some less charitable soul would say it was divine punishment for casually advocating a more profitable expenditure of lives. For Jki she noted how the pain made its presence known more often in the last few weeks, especially in regards to discussions about casualties. If it was her subconscious giving a proverbial kick to the shins to make her less callous about the expenditure of lives then she wished it would quit it. There would be plenty of time to feel guilty after the war. “Would you like to take a break, Admiral?” Geln said respectfully, his triangular Humarsh face emoting concern. In the occupied Comensal system of Borehole the Commonwealth Army 2nd Expeditionary Corps waited patiently. On Borehole Prime the center of attention for the 40,000 allied soldiers was the Quad Cities (Riverport, Haven, East Haven, and Bedrock). Battles with the Comensal had lessen as the months went by, but that had more to do with Borehole’s weather than with any other factor. With the fall of Circuit Run the Corps was ready to disengage and make for a set of three parallel mountain ranges in the southern hemisphere. It was miserable terrain with weather to match, unfit for mechanized land units and dangerous for aircraft. There were enough transports for the troops to be lifted off, but the general in command ruled that out. With supply caches in the mountains he planned on keeping the Comensal busy and bothered hunting him, wasting time, lives and resources: resources that would otherwise go towards building ships and weapons with which to destroy Commonwealth lives. On Meadow, the other habitable planet in the Borehole system, the 16,000 soldiers stationed there had fewer options on where to hide. With such a mild climate even the equatorial regions were agreeable to Comensal physiology. The division commander eventually chosen the valleys above the planet’s arctic circle. Carved out ages ago during Meadow’s last significant period of glacial activity, these valleys played host to forests filled with various species of thick and long-lived trees. Along with marshes and a species of insect that liked the smell of Comensal it would be a long and arduous hunt to remove the Commonwealth presence. As for the Borehole/Circuit Run warp point defenses there was a fatalistic sense of defiance. Like in Metalstorm the defenders had expected their 24 BS2s to be upgraded, dismantled, and moved. In this case it was for Gravel Pit. With the fall of Bedrock those plans were shelved and the upgrades halted after eight units. There were 6 BS2s armed with HET lasers, 3 plasma-armed BS2s, 3 Quagaar BS2s, 6 BS2Rs and 6 BS2Vs with 24 Shark squadrons. 3 BS1s controlled the 300 mine patterns, 120 laser and 60 energy beam buoys. Nothing more than a speed bump as far as defenses went. But as speedbumps went it had potential to do some damage to an overeager driver. 12 days after the fall of Circuit Run the Axis probed the warp point. Not with pinnaces, nor with Grenadier corvettes and Dispersion escorts, but with a trio of Blockhouse battleships and a like number of Ablative class battlecruisers. Those ships found the inner ring of bases arranged in four groups of three, at a range of 1.25 LS at subjective northeast, southeast, southwest and northwest. Further out at 4 LS were two groups of six, one each at subjective north and south. The Axis commander of the probe, in the lead ship, selected one base in the southwest group and opened fire with the rest following his lead. A laser BS2 was nearly destroyed, and it took the combined fire of all those bases that went active, as well as two of the six CAP squadrons, to nearly killed one Blockhouse and wreak four engine rooms on an Ablative. While the battleship was immobile the battlecruiser still had motive power, trying to follow the other four ships as they transited back to Circuit Run. Three more hits with HET lasers put an end to that effort, leaving two ships little better than hulks. With no mobile yards with which to inspect them, and not wanting to waste lives on boarding actions that likely won’t result in captured databases, the defense commander had both ships destroyed in place. Emergency repairs were conducted on the BS2 with all other units restocking their external ordnance and rearming the CAP squadrons. Another tension filled wait was their reward. It was ten days later that the Axis returned. A pair of Falcon Crests carriers was followed by a mass transit of Grenadiers. Of the 33 little ships 8 interpenetrated and exploded in great fireballs, proving that some had antimatter ordnance in their magazines. Two more Falcon Crests followed, and the first assault wave was rounded out by 92 armed pinnaces of which 14 interpenetrated. With righteous malice the defenders fired, destroying one Falcon Crest and lancing the engine rooms with primaries on two others. Four gun-armed Grenadiers also went down as well as an armed pinnace. While only a few of the close-in bases went active all six fighter bases did so, crash-launching the remaining 18 Shark squadrons. On their part the defenders lost the base damaged in the Axis probe and 12 buoys. More important the two BS1 controllers failed to become active, thus denying the chance of inflicting further damage on the remaining carriers. While the three Falcon Crest carriers launched their Hatchets and transited out two Soars and four Cannonades emerged. Over half of the Grenadiers proved to have jammers, throwing the allied CAP squadrons into disarray. Thought able to do some damage, and assisted in destroying four Grenadiers, the remaining four CAP squadrons were destroyed in their entirety. Seeing that the Hatchet squadrons, with no Sharks to kill, starting to go after the buoys the allied commander fired off 56 energy and 72 one-shot laser buoys. While no Axis ship was destroyed one Soar, thanks to concerted efforts of a plasma BS2 and the missile-armed Quagaar and capital missile BS2s, sustained energy beam damage to an engine, reducing its speed and hampering its rate of turn. The 77 Axis armed pinnaces divided into four groups and went through the minefields, losing 8 of their number. Attacking the close-in bases with FRAMs the armed pinnaces only left seven badly wrecked ones. Of that number included the three Quagaar BS2s, slated to be hosed with energy beam fire from the Cannonades so that they could be boarded. Those pinnaces still armed with FRAMs made course for either the northern or southern missile BS2s. What the Axis tactical officers took note was that the bases in the southwest and northwest BS2 groups had rather effective point defense fire, knocking down 8 of the 9 pinnaces lost to defensive fire. Two of the responsible BS2s were Quagaar units, making them more of a priority for capture. One Soar transited out after launching its 30 Hatchets but the other one was unable to follow in time. Keeping it company were three newly arrived Grenadier 3 frigates and three Hero class battlecruisers, just in time to be embraced by 18 datalinked-jammed squadrons of Sharks. Despite their ranks being cut down like harvest wheat the Sharks destroyed the Soar and then turned on the jamming Grenadiers, eliminating all but one. The last of the one-shot laser buoys added more hurt to the gun-armed Grenadiers and the capital missile BS2s took out one of the Grenadier 3s. For their tenacity all but 2 of the 108 Sharks were shot down. While the quintet of fourth-wave National Power battleships orientated themselves the remaining 14 Sharks, bereft of weapons, gathered and charged the 7 remaining Grenadier 2s. Only one succeeded in ramming, and those that missed were quickly overwhelmed by the Hatchets. Meanwhile the armed pinnaces conducted their attack runs on the capital missile BS2s. Defensive fire from the neighboring BS2Vs gained a small measure of revenge by bagging a handful of the aggressive small craft. One missile base was destroyed with the other five losing their passive defenses and internal systems. Six Sprinter destroyers arrived and three Grenadiers passed them on the way back to Circuit Run. Long range force and laser fire grounded down the missile bases. When the sixth wave came the allies had no weapons with which to harm the Axis ships. Those Hatchet squadrons still carrying regular close attack missiles went after the distant trio of BS1s while the minefield was so weakened in one spot that it was finally breached by the Heroes, allowing the Cannonades to move out and hose down the BS2Vs and remaining missile BS2s with energy beam fire. The magazines were intact despite the massive electrical shorts, and after the explosions from multiple self-destructs there were four bases left to be boarded. No data was found, but instead of destroying the hulks the Axis commander elected to have the mobile yards inspect them to puzzle out the new point defense system seen in action. The Axis task group that sprinted across the Circuit Run system gathered and settled into formation in Borehole. It moved at cruising speed to prevent further abuse to their engines. A small formation of ships, containing a pair of warship-hulled troopships, broke off to head for Meadow while the rest made for Borehole Prime. Aboard five large transports 50,000 fresh troops of the Axis Army were ready to eradicate every Commonwealth soldier on the mineral rich planet. In orbit of Bedrock Prime was a collection of mobile yards and repair ships, putting right the damage inflicted on Axis ships during the liberation of the system. Some were being refitted to new standards, reflecting battlefield necessities and improvements perceived to enhance performance. In one of those mobile yards was System Admiral Hovwen, Commander of Carriers for the Third Advanced Fleet, reading the after-action report for the battle of Borehole. That the battle happened at all was mainly due to the perceived weakness of the Commonwealth defenses. With only two assault carriers destroyed she considered it to be a very effective assault, despite the losses among the Machete armed pinnaces and the Grenadier corvettes. The only fighters lost were those on the vaporized first wave Falcon Crest and those sent against the small BS1s, 20 in all. With both colonized worlds in Borehole liberated (though the abom troops still had to be hunted down and killed) the Asteroid Axis was that much closer in fulfilling Operation Restoration. Still there was room for improvement. With every warp assault from now it had to be taken for granted that there will be enemy datalink jamming. Even though there was none for Borehole the light missile salvos thrown at the destroyed assault carriers showed that slight improvements in beefing up of passive defenses was in order. With that Hovwen looked hard at the Talon Pride and Soar class carriers. It made little sense to include datalink point defense when operating in an environment that would preclude it from working. For the Talon Pride this would mean trading a pair of standard datalink defense mounts with one regular capital mount and three additional bulkhead partitions. It made for more robust ship in an intensive laser buoy environment as well as better able to fend off hopefully light missile salvos in the initial stages of an assault. As for the Soar class it was painfully clear that refits and new construction be concentrated on giving all units engine tuners. Already saddled with a poor rate of turn it boiled down to the available firepower possessed by the enemy to destroy a Soar or riddle it with primary beam fire, slowing it down and allowing more bases a chance to destroy it. With engine tuners at least the possibility for escape was increased, and by making the change to point defense it was quite possible to make a Soar almost as damage resistant as a Talon Pride. Also having six Soars in an assault wave was appealing, especially for weak defenses like those found in Borehole. While the solutions were practical Hovwen knew that funding the large carriers wasn’t going to meet the insatiable need for assault units. Even with the recovery of Bedrock and Borehole and the impending liberation of Bulwark and Forger’s Gate the credits were going to fall short. From here on out it would fall on the Falcon Crest class to shoulder the burden. Hovwen had her advocates on Comensal Prime, but even they could only reach a compromise with the Economic Application Bureau. In the naval budget plan they drew up only one Soar would be built for every three Falcon Crests while a Talon Pride would be authorized for every eight. This will result in having a large reserve of the smaller carrier. When it comes time for the Second Advance Fleet to assault Hamthen there was no doubt in Hovwen’s mind that Falcon Crests would be used in simultaneous transit attack. As for the Third Advance Fleet Hovwen doubted that she would use such a tactic as Machete armed pinnace production had hit its stride, ensuring a steady supply to all fronts. A chime sounded, informing that the mobile yard was about to release the carrier it had just finished repairing. Hovwen watched as an external view showed the last of the docking clamps, gangways and power connections being retracted from the ship. With a light touch on thrusters the carrier moved until it was far enough away to engage its drive field. Just as it did another ship moved into position and settled into the mobile yard’s extendible dock arms. In a matter of weeks it too will rejoin the fleet and continue the drive to crush the enemies of the Comensal. Near the bow there are the two triangular hatches for point defense counter missiles. Standard missiles are carried on the external racks. An 8-output improved point defense mount replaced one 6-output point defense mount. The ship carries an ECCM tower in a design used by AFC small combatants.